 The only 1 day Monument Valley & Grand Canyon tour in the same day!  Grand Canyon, Bryce Canyon and Zion all in one day!  Grand Canyon, Monument Valley and Bryce Canyon all in one day! Incredible views over Lake Mead, Hoover Dam, the western desert, the West Rim of the Grand Canyon and the Colorado River. This tour gives you a good overview of the western part of the Grand Canyon, without having to spend too much time away from Vegas. You will be picked up at your Strip or downtown hotel on a free shuttle to the airport. 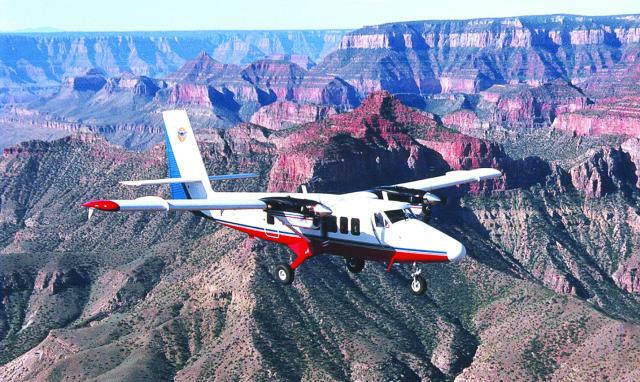 The plane, which has large windows and two engines, soars above the spectacular Hoover Dam, as well as Lake Mead, the largest man made reservoir in the country. You will also get great views of the western desert on the way to the West Rim of the Grand Canyon. The plane flies over the Canyon but does not land. You will enjoy spectacular views of the Colorado River and the Grand Canyon, before returning to the airport, and being taken back to your hotel. Travel time from hotel to hotel is approximately 3 1/2 to four hours, with a flight time of about 1.1 hours.